New teachers set to graduate this spring are facing an uncertain future as Edmonton school boards prepare to slash budgets. 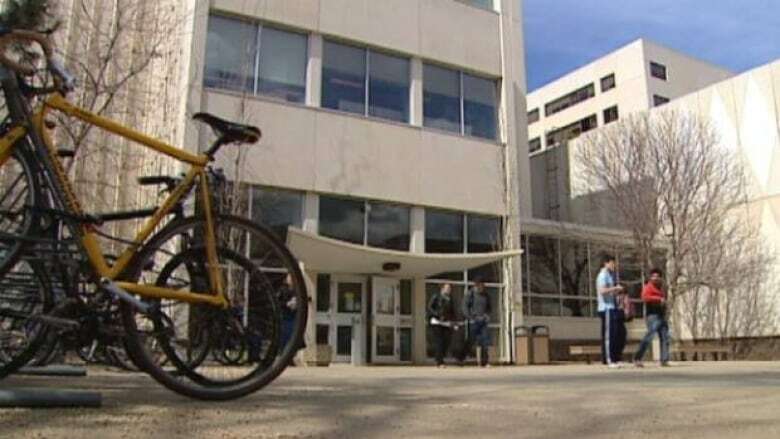 New teachers set to graduate this spring are facing an uncertain future as Edmonton school boards prepare to cut costs. Edmonton Public Schools is short $14 million in this year's budget while the shortfall for the separate school board is $9.5 million. Student Courtney Mason worries she might not find work as a teacher after graduating. (CBC)"What worries me is that they've been telling us for years that there's going to be lots of job opportunities coming up, and the farther we get, the less job opportunities there are," said Courtney Mason, an education student at the University of Alberta. "I'm also looking at going abroad and probably getting my masters, just to get more job opportunities through that," said U of A student Liz Dindo, who graduates next year. The province bumped education funding by 4.5 per cent in this year's provincial budget but most of the money is going towards a previously-negotiated 4.54 per cent increase to teachers' salaries that takes effect Sept. 1. The Alberta Teachers Association is predicting 1,000 fewer teaching positions in Alberta next year as boards across the province struggle with cash-strapped budgets. But the ATA is asking students to be patient. "I don't want them to leave the province," said ATA president Carol Henderson. "We will need those teachers and, if it's not this year — and that's not very much comfort for them, I totally understand that — but we will need them."